There are lots of packing lists available on the internet for all types of camping trips. 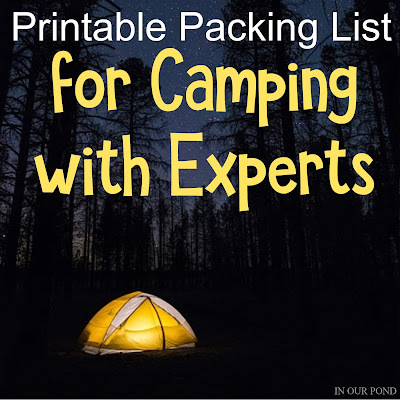 I haven't yet seen a list for weekends with experts, people who have been camping so long that they have all the cool stuff. The experts already have everything you need for cooking over a fire, cleaning, setting up a great camp, etc. 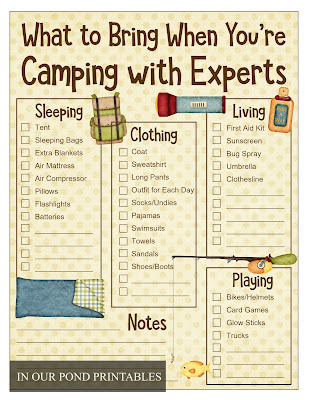 In our life, the camping experts are my parents. 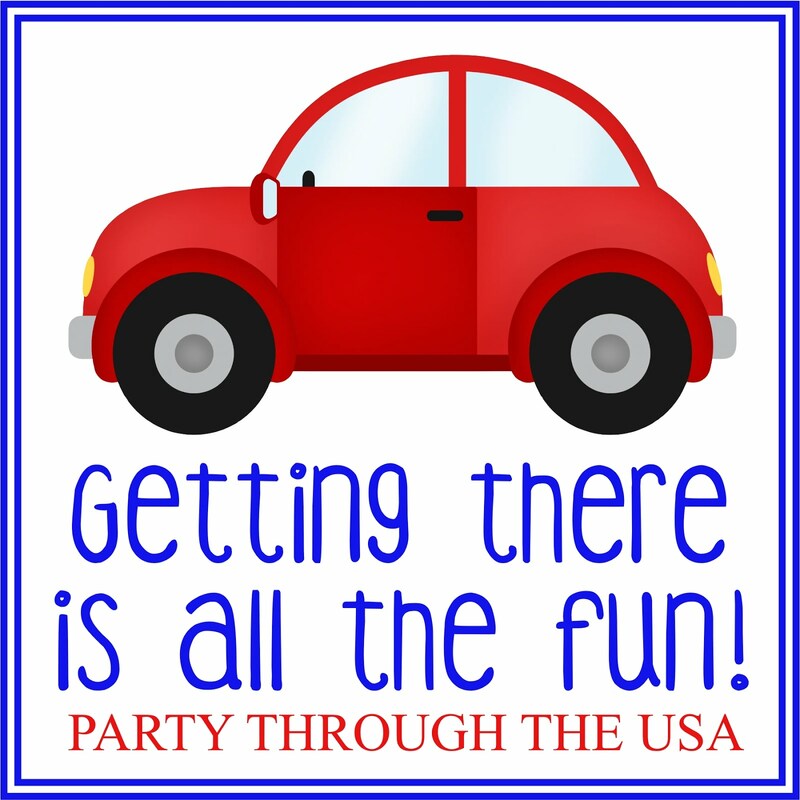 We always camp with them (great for grandchild and grandparent memories), which means we have a lot less to pack than we would on a normal camping trip. Even with just packing for my family, we still end up bringing a lot of things. 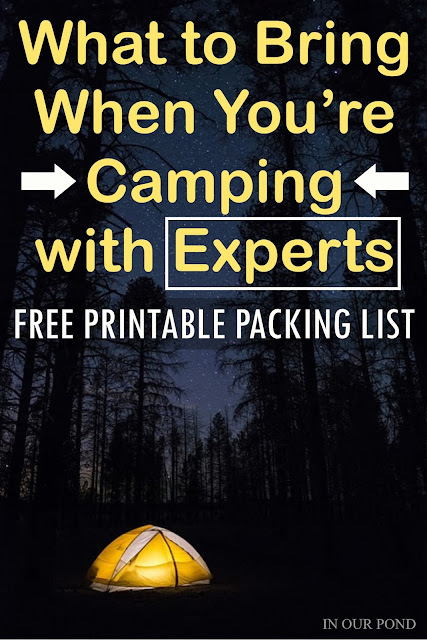 I made this free printable to help us pack for camping trips. 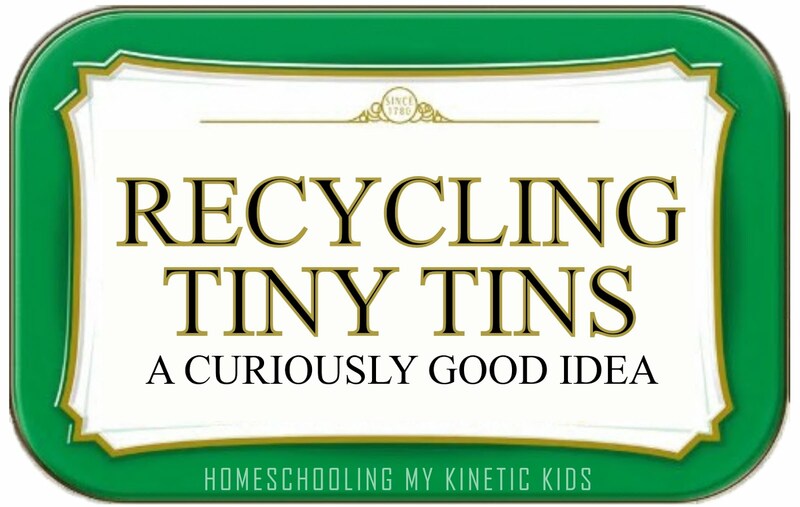 I plan on laminating it so I can use it all summer. The extra lines are for adding more items (or use the back). Our main responsibilities are clothes for all of us, the tent and sleeping stuff, some personal items, and toys. Our favorite toys for camping are trucks, cards, glow sticks, and bikes. In warmer weather, we also do a lot of swimming.